The sonic warriors go head to head but who will win? Believe us, just getting the wealth of headphones, lifestyle Bluetooth and multi-room speakers down to this shortlist of six was a huge undertaking. "There's very little to complain about with the Qb. Given how well its £895 big bro' did it should absolutely fly off the shelves, and it deserves to. It's a pleasure to listen to, and a square-faced miracle of miniaturisation." 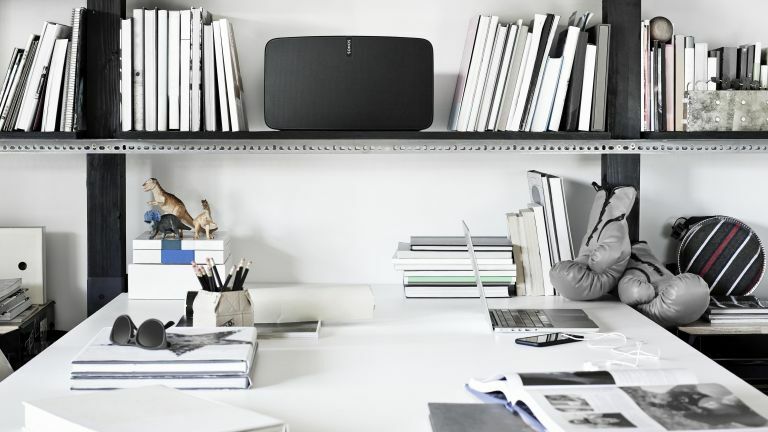 "Battery life is cited at 12 hours and while we didn't quite make that, it is almost as impressive as the high quality sound which, though bassy - well, it is Beats - is punchy very indeed, albeit with all the subtlety of an angry pig let loose in a branch of The White Company." "So what does it sound like? Good. Really good. I've sat through so many mid- to high-end audio demos where I've had to smile politely and say, "Mmm yes, very clear," while counting the minutes till the meeting's end, but this was not like that. It sounded like music rather than "hi-fi", and it rocked." Will the Zeppelin turn it up to 11 and win the top prize? "Put the Marshall Major II Bluetooth headphones on and you rapidly see (or hear) their good side. Marshall has done a really good job of recreating the warm but forceful, rockin' sound it's renowned for, using presumably nothing more than inexpensive headphone components and some cunning tuning. It's rather like the approach taken by Beats - distinctive look, tuned sound - but done far better, at least to our ears." "It's a speaker that looks great and sounds even more impressive. Sonos has done well to make it as easy to possible to use - setup was minutes - and while it is more expensive than the what the original Play:5 originally cost - audio-wise, it is a much better speaker." How does such a full sound come from such a tiny thing? We don't know, but this is an all-round winner. “All round”. You see?